Antonio Giovinazzi’s participation in Chinese Grand Prix qualifying was stopped by a similar problem to the one that affected Ferrari Formula 1 driver Charles Leclerc in Bahrain a fortnight ago. Following Leclerc’s failure – a dropped cylinder that cost him victory – both works Ferraris and Haas entries were fitted with a new specification ECU at the start of running in China on Friday. 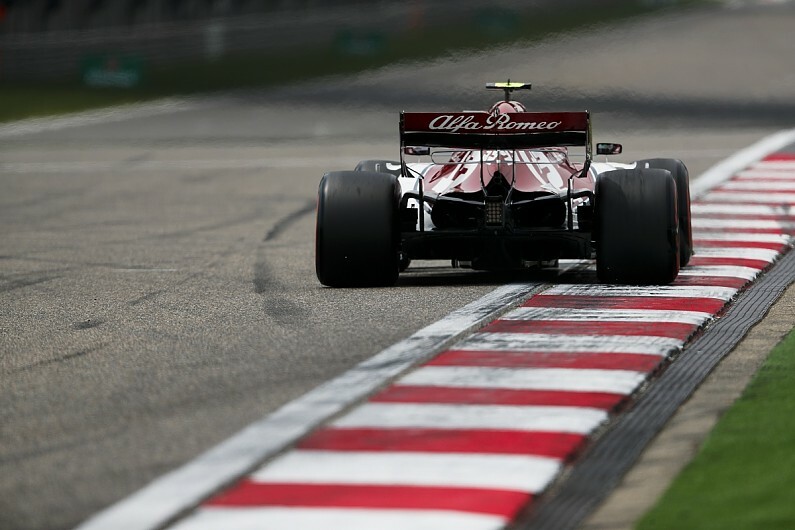 However, due to time constraints in adapting the cars to a different installation, Alfa Romeo chose not to take the revised unit offered by Ferrari for China. Giovinazzi lost a cylinder at the start of his first flying lap in Q1, and did not run again. He will start 19th on the grid with a new example of the older-spec unit, while team-mate Kimi Raikkonen will stick with the unit that has already completed the first two races. “Ferrari proposed to us the new spec, and we didn’t have time to install it in the car due to the installation,” Vasseur told Autosport. “We had the issue today, and we will change it for tomorrow, but we will keep the same spec. For Kimi we won’t change the unit for tomorrow. “We have apologised to Antonio, and it’s 100% my fault. “I assume 100% of the responsibility because Ferrari proposed to us to change it. Giovinazzi had already lost FP1 in Shanghai to an engine installation error that could not be rectified in time for him to take to the track in the morning session. Vasseur reaffirmed the Italian, who has endured a difficult start to his first full F1 season, had his full backing. “It’s not an easy one, because if you look back we had an issue in FP2 in Bahrain, and he was not able to do one lap, then we had the issue in FP1 here, again on his car,” said Vasseur. “Then today, it’s a bit too much. “We started the engine, and we did the out lap. He crossed the line, then he caught some guys exiting the pits, and the issue appeared at the end of Turn 1 on his first lap. “We are 200% supportive with Antonio. I know what he is able to do, I know what he did before, I saw every single day what he is able to do. Giovinazzi remained upbeat about his prospects for the race. “I know tomorrow starting from the last row will be hard,” he said. “We’ll see. “It’s a track where we can overtake, so we will try our best. “Our target is still points. Like I said, it’s a track where you can overtake.